I couldn't find out a lot about Rouxville, we only came there on a Sunday afternoon in July 2012 and spent the night at a B&B, House 1929. Where we were made very welcome and immediately supplied with information I need for my quest to write down local history of places I visit. Because our stay was so short I can only supply snippets of what we found in the few hours we had available. The picture on the right is of Ref.Pieter Roux (1825-1913), who the town is named after. 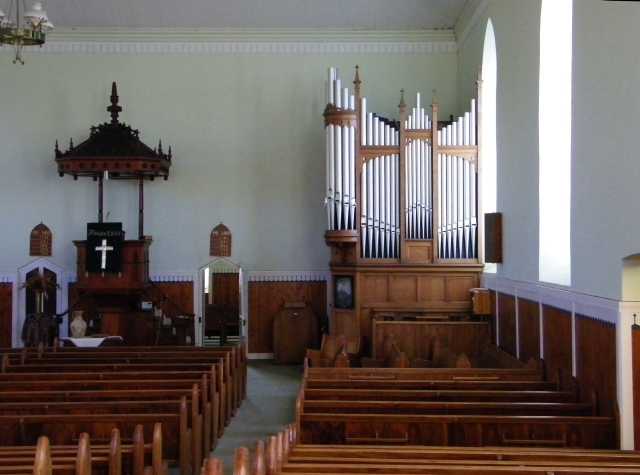 He was the Dutch Reformed minister in Smithfield from 1853 to 1875 from where he served the newly created community of Rouxville. 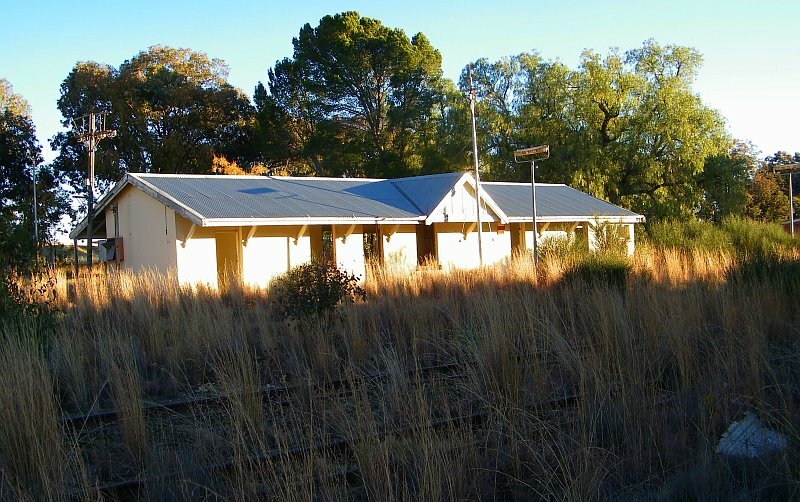 The town was proclaimed on the 19-Feb-1864 after the farm Zuurbult was purchased from C.N.Swaneppoel for 1500 pound. Until 1893 a village management board looked after the affairs of the town, in that year it changed status to municipality. 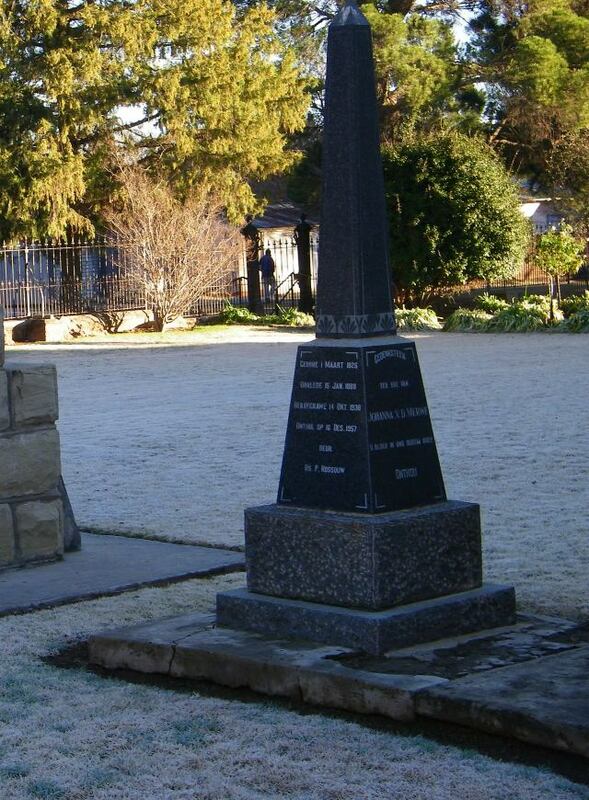 During the Boerwar the town was completely deserted, with the arms bearing men being in the war and the remainder of the population being taken to the concentration camp on the Kraai River. 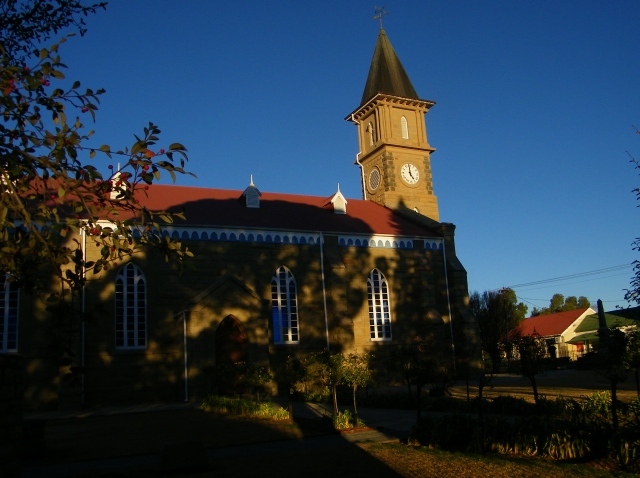 Build in 1881, its one of those typical and beautiful sand stone buildings of the Freestate. There are a number of gravestones and monuments in the church yard, some of them I like to mention in some detail. She was born on 1-March-1826 and as a child was with a group of trekkers who in 1838 started moving into Natal. At the Bloukrans they were attacked by Zulu impies and many of the trekkers lost their lives. Johanna was one of the survivors. She was found at the upper reaches of the Moordspruit with at least 19 assegai wounds and survived to later on marry a Hendrik F. Delport. She died at an age of 63 on the 15-Jan-1888 and was buried on the farm Waschbank near Rouxville. 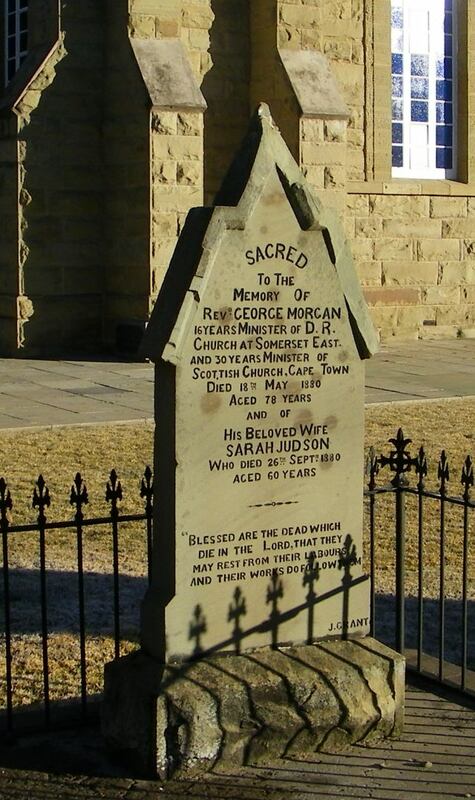 In 1938 her remains were reburied at the church in Rouxville as part of the 100 year celebration of the Great Trek. The stone shown in the picture is not a grave stone, but a memorial stone. His grave and that of his wife is in the old cemetery. Rev. 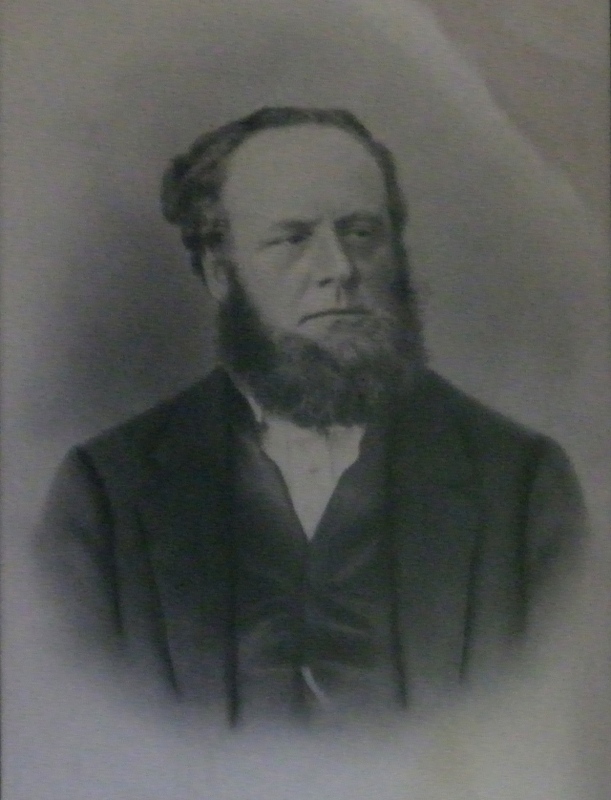 George Morgan was a minister in the Scottish church who came down to South Africa to help the Dutch Reformed Church as a minister, his major posting was in Somerset East. It was his son, Charles Morgan, who had a posting in Rouxville. On his retirement from service he and the wife moved to Rouxville in 1871, where he died at the age of 82 in 1880. It is no more. The line used to connect Aliwal North through Rouxville, Zastron, Wepener, Dewetsdorp to Bloemfontein. The Station building has been gutted and the weeds are growing waist high. When last it has seen a train I don't know. This is the old graveyard, there must be a newer one since on this one there were no new graves. I am sure there is lots of history, but one needs time and more information, which I have not had. One section of the cemetery is the Jewish section, clearly demarcated but largely empty, just two graves in that area. But there are a number of Jewish graves just outside the demarcated area and one has to wonder how did this come about. The empty area could possibly be explained by what also happened in Smithfield. 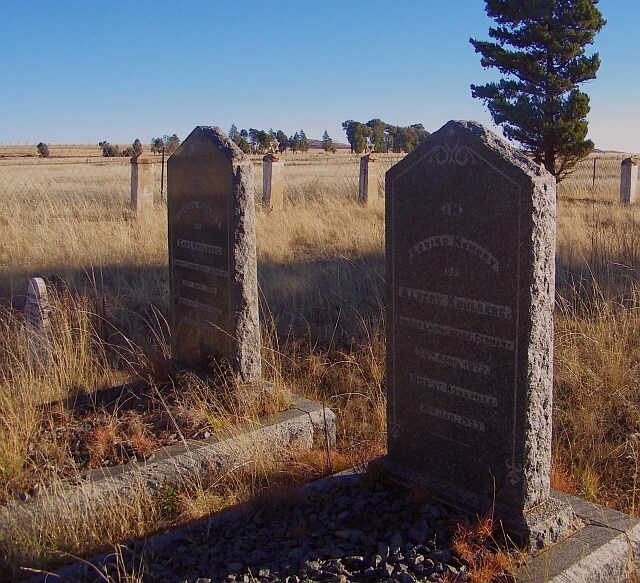 At some stage in the 1930th Jewish graves there were moved to Bloemfontein. Prominent were some of the graves on the side, all bearing the name Kohlberg from Lauenförde in Germany. I found this on the Internet: Um 1900 wanderten mehrere Geschwister nach Rouxville, Südafrika, aus. Der 1868 in Lauenförde geborene Carl Kohlberg wurde dort Bürgermeister, noch heute trägt eine Straße in Rouxville seinen Namen.'. So there you have it, Carl Kohlberg became mayor of the town and there is a street named after him (that is if they, the ANC, haven't changed it in the meantime). The picture shows two of the three Kohlberg graves, Albert and Carl.